As major web browsers continue to announce their support for Web Real-Time Communication (WebRTC), more users are realizing its potential as a powerful mainstream technology in 2016. WebRTC supports browser-to-browser voice calling, video chatting, and file-sharing without the need for internal or external plugins or specialized software. 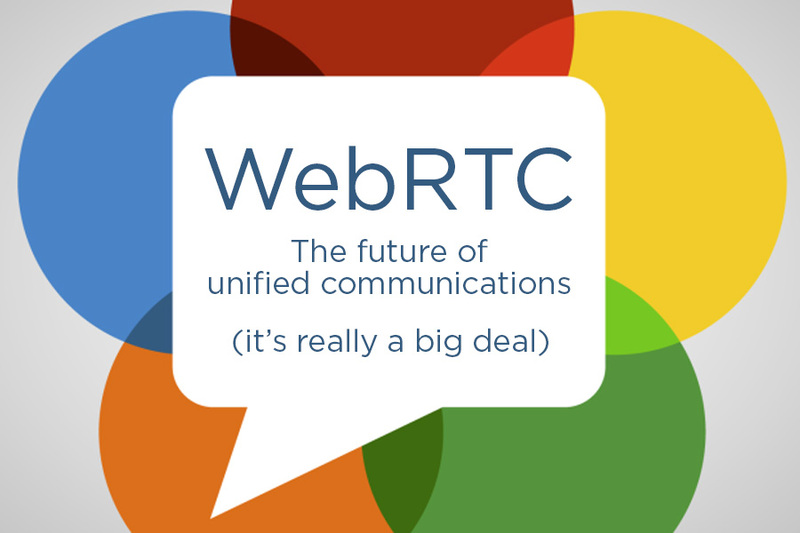 As one of the most secure and accessible open application programming interfaces available, WebRTC could revolutionize unified communications in business. In 2015, Microsoft took a big step toward introducing WebRTC as an application for videoconferencing when it announced its support on the Microsoft Edge browser. Microsoft Edge uses object real-time communications to enable mobile endpoints to communicate with browsers. This initiative aims to establish a real-time communication standard of practice, especially when it comes to video. In 2016, WebRTC technology is changing the game of videoconferencing, as well as the players in the field who supply the service. Just as digital replaced analog audio and video, WebRTC could soon replace traditional videoconferencing and unified communications platforms. Unlike other videoconferencing technology, security isn’t an issue—WebRTC encrypts all streamed content. Neither is compatibility, as the industry works to adopt a WebRTC standard protocol. As more IT professionals warm up to WebRTC, businesses are reaping the benefits. WebRTC offers many never-before-seen advantages for videoconferencing in business. Businesses gain the peace of mind of secure audio and video transmission without investing in expensive security tools. WebRTC also eliminates the risk of losing valuable data and sensitive information during video communication, permitting businesses to allow—and even encourage—employees to use their own mobile devices for video chatting and file-sharing without the fear of lost data or a security breach. The growth of WebRTC technology is creating a viable solution for external video communication for many businesses. For example, Alpha Video is now seeing architectural and engineering companies collaborating with other offices to review blueprints and documents using WebTRC applications like Zoom and Pexip rather than using expensive dedicated videoconferencing codecs. If you would like to learn more about how to implement highly-production and cost-effective WebRTC-based meeting rooms for your business, please contact Scott Johnson, Alpha Video’s Senior Technical Account Manager, at scott.johnson@alphavideo.com and at 763-647-0587 (mobile).